Fabulous opportunity to establish roots in Wrightsville Beach, renowned for its gorgeous beaches and quaint beach town amenities. This property provides great views and easy access to the Intracoastal for paddle boarding/kayaking or it is a short trip down the block to the beautiful oceanfront beach. Ideal property for a family, friends, or investors.Conveyed fully furnished, each level has two beds, 1.5 baths and can sleep 6. Large decks that expand options to enjoy the views and ocean breezes. 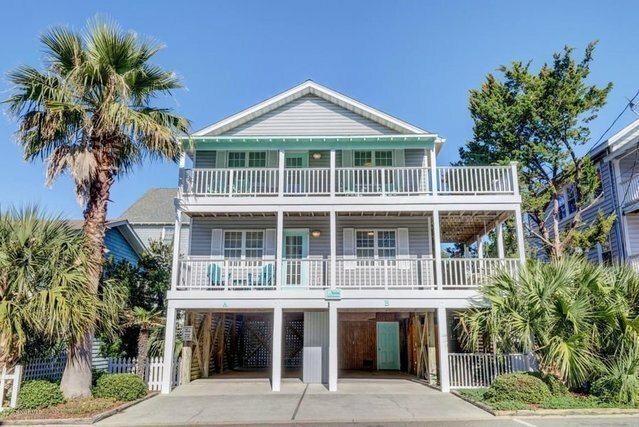 Laundry with great storage for beach toys, along with the enclosed outdoor shower, make coming off the water an easy transition.Grocery, restaurants, and shops are a quick walk away. One of the best locations for complete enjoyment of all Wrightsville Beach offers. Two new HVAC units installed 7/2018.